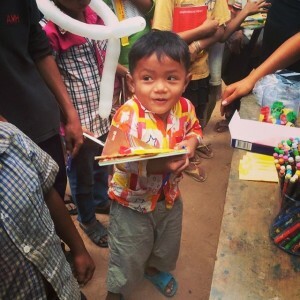 Imagine growing up in Cambodia with very little opportunity for a quality education. You are a child of a poor family, reliant on sustenance farming in an increasingly erratic climate. 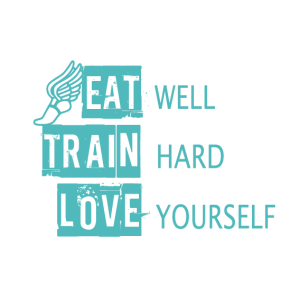 Similar to others around you, you have a burning desire to improve yourself and your family. We have created The Phum Ou school and Vocational Centre to provide a free dynamic education to this community, along with job skill development. With rapid growth over this last year we have grown from around 30 to 250 students. Now, we need your assistance to support the teachers in delivering this valuable and empowering curriculum, which will allow us to continue to support this community and provide a sustainable structure for quality education. 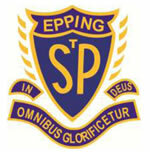 We are aiming to raise enough funds to support the school for the upcoming two years. The funds listed here are divided in order to focus on the key requirements to supply a salary and professional development to teachers, along with electricity for students to work into the evenings and general school supplies. the professional development for a certain length of time. standard school supplies such as, notebooks, pencils, text books, markers. The school currently supports 250 students ranging from 5 to 45 years of age. You can help to make a difference, and ‘Make an Impact’ in the community of Phum Ou. 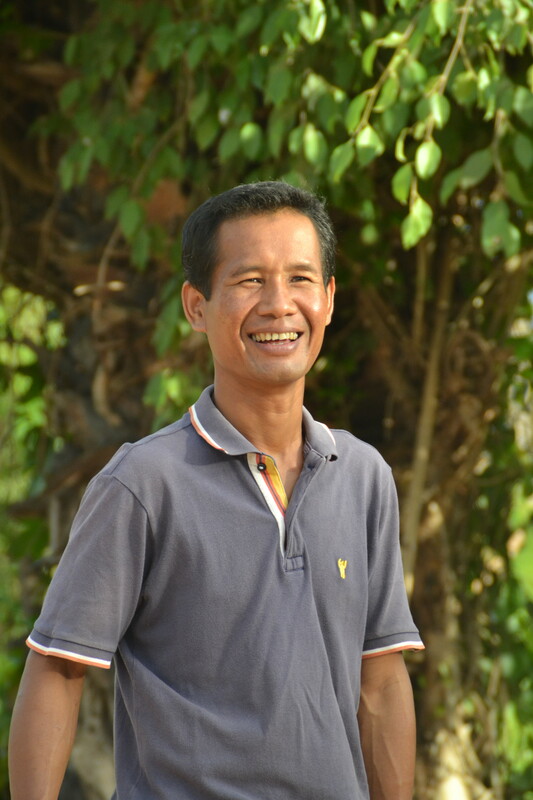 We are very fortunate to have four of the brightest Khmer educators teaching at our School and Vocational centre. We are committed to giving every conceivable option to these brilliant individuals for their personal and professional development. As educators, we whole-heartedly believe that our teachers are the pillars of this school. In order to create a sustainable initiative to support free and dynamic education at the Phum Ou School and Vocational Centre, we invest in our local staff for both short and long-term development. 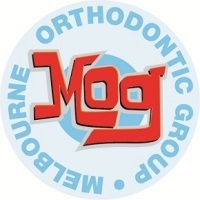 We do this by paying a monthly wage, hosting free monthly professional development seminars, allocating valuable donated teaching resources, and coordinating teaching assistants. The effect that one of these educators has is incalculable, and we believe that investing our energy, time, and resources in these amazing individuals is an absolutely integral part to providing the best environment for the community of Phum Ou. 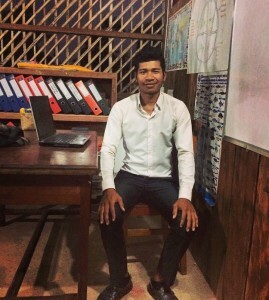 Your assistance will enable the teachers to impact hundreds of families in the community, and together we will continue to work towards the goal of educating underprivileged communities in Cambodia. Listed here are a number of options for a once off payment to support the teachers of Phum Ou School and Vocational Centre. We will continue to work tirelessly to uphold our responsibilities to ensure that the Phum Ou School and Vocational Centre continues to achieve its desired outcomes and progresses towards its goals, which are outlined below. We can assure you that your hard-earned money will be going directly to where it can be used best, and we will work hard to connect you as much as possible with the project so that you can see its ongoing development and the impact your funds are having on this community. Click here, to watch a video that will provide further insight into the work we are doing at the School and Vocational Centre. Dina (D–ee-na) is a six-year-old boy growing up in the shadows of a looming wave of societal change. This brilliant child lives with his mother, father, and 12- year-old sister Moomi just 100 meters from our School and Vocational Centre. 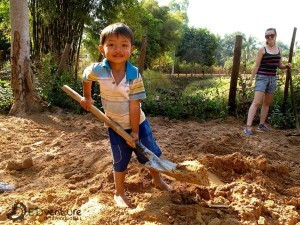 Dina and his family benefit directly from our school, located in the center of Phum Ou village. It is exciting to see that this little mind has already progressed in his language development, along with his critical thinking capabilities, since the school opened only one year ago. Daily, Dina is inquisitively lurking around the school and always looking to engage, to play, and to learn. Dina spent months slowly warming up, before engaging with the foreigners who joined his community to assist with the building of the school. Initially, he was somewhat shy, although soon enough he was a part of every little step and excitedly following our every movement. From laying down the first pieces of land to building desks, creating a garden bed or stacking school resources, he was there to help. His innate hunger for learning and cheeky nature is exciting to see. With the right opportunities, the future is bright for Dina. Without this centre of learning however, Dina would have no other options for free extracurricular learning in areas such as: language development, computer skill development, and scientific reasoning. Dina’s generation is sandwiched in-between lifestyles: traditional subsistence farming versus modern globalization. Communities surrounding Phum Ou and Cambodia as a whole are entering a new stage of modernization: farmland is being sold to property developers for expansion of the ever-growing tourism industry. As a result, there will no longer be enough land to support Dina and his generation to continue the tradition of subsistence farming. Without preparative education and awareness of the economic and environmental issues affecting modern Cambodia, the Khmer people will be forced into low income jobs, continuing the vicious cycle of poverty. The children we are working with are experiencing the entire weight of Cambodia’s industrial awakening. Our aim as an organization is to provide individuals of the Phum Ou community with auxiliary skill sets, which will strengthen and promote learning -To broaden, enrich, and deepen their understanding of their community, country, and world. Class is about to start! Dina comes running around the corner carrying a small plastic bag filled with a notebook for class in one hand and the biggest smile I have ever seen on his bright face. This is who we are working for. Together, we are learning and growing, providing a safe, cultivating arena for education. Mr. Tip is our most senior educator. He has graduated with his bachelor’s degree in primary and secondary education, and is not just a great educator, but a true cultural innovator. His future goal is to continue teaching English, along with utilizing art as a medium to teach through. Mr. Prouen is the Director of the school and community centre. He feels passionately about breaking the vicious cyclic nature of poverty and giving the children of his community the opportunity to empower themselves and their families. He is a true leader in his community and is absolutely integral for the development of community involvement for the Phum Ou School and Vocational Centre. Mr. Prouen has taught English as a Second Language (ESL) for five years, and is currently studying educational development and English literature. Moving forward we have some significant developmental goals for this educational institution and would love to share them with you. If you have any further questions, or feel that you can provide any assistance with this project, please don't hesitate to contact Jamie Christopherson at jamie@edventureintl.com. Attached is a link to our school constitution, which outlines our collective ambitions for Phum Ou School and Vocational Centre. You can access this document via this link. We would like to say a massive thank you to all of our EDventure Cambodian participants who have been a part of this project so far. Without your motivation, drive, and passion we would not be able to complete this project. Funding provided from fees for your program have also been paramount to establish the 'building blocks' of what will be an incredible education facility. This has enabled the set up of this project, training of local contractors, planning and documentation required to create something of this scope and calibre, and furthermore its ongoing execution as an educational institution. For their significant assistance we would also like to thank our wonderful supporters, who have enabled the school to benefit so many since it was opened only one year ago. Eoghan Tracey, Joanne Maddick and many many more. Why are fees in USD? This is the currency of Cambodia. If you'd like to transfer via bank transfer in AUD for the USD equivalent please contact Jamie at jamie@edventureintl.com and he can provide any details or information required. We need your support to supply a salary to teachers who are teaching at the Phum Ou School and Vocational Centre. With the support of EDventure they empower this entire community by providing a free and dynamic education along with job skill development. This salary will provide remuneration for teaching efforts for one month. This is an above the average Cambodia wage. We will pay a quality teacher a reasonable wage to ensure the high quality education and dedication to developing the school on a long term basis. You can choose which teacher you would like this wage to be directed to and will receive a personal video message from them to say thank you. This salary will provide remuneration for continued development of the curriculum, facilities and general oversight of the school by Mr Sarath the director and head teacher. You would like to to be directed to and will receive a personal video message from him to say thank you. This salary will provide remuneration for teaching efforts for 2 weeks. This is an above the average Cambodia wage. We will pay a quality teacher a reasonable wage to ensure the high quality education and dedication to developing the school on a long term basis. You can choose which teacher you would like this wage to be directed to and will receive a personal video message from them to say thank you. This will provide 2 weeks of remuneration for continued development of the curriculum, facilities and general oversight of the school by Mr Sarath the director and head teacher. You will receive a personal video message from him to say thank you. These funds will be used to pay the monthly cost of electricity required to run the school. Most students study in the evenings, due to the fact that they work during the day time and are unable to attend school. We therefore operate school in the evenings to compensate for this. Electricity is a key factor to enabling students to study and still maintain an income to sustain themselves. These funds will be used to pay the yearly cost of electricity required to run the school. Most students study in the evenings, due to the fact that they work during the day time and are unable to attend school. We therefore operate school in the evenings to compensate for this. Electricity is a key factor to enabling students to study and still maintain an income to sustain themselves. This salary will provide remuneration for teaching efforts for three months. This is an above the average Cambodia wage. We will pay a quality teacher a reasonable wage to ensure the high quality education and dedication to developing the school on a long term basis. You can choose which teacher you would like this wage to be directed to and will receive a personal video message from them to say thank you. This salary will provide remuneration for teaching efforts for an entire year. This is an above the average Cambodia wage. We will pay a quality teacher a reasonable wage to ensure the high quality education and dedication to developing the school on a long term basis. You will receive a personal video messages from every teacher to say thank you. We do require ongoing general school supplies for students to get the most out of their education. These funds will go directly to pencils, notebooks, colour pencils, rulers, story books, text books, teachers markers. You will be shown a photo of these items as they are purchased with your donated funds. Contribution Level	 Teacher professional development fund1 month salary for a selected teacher: Tip, Tola or Sopanna1 month Salary for school director, accountant and teacher Sarath Proeun2 weeks salary for the selected teacher of your choice: Tip, Tola or Sopanna2 weeks salary for school director, accountant and teacher Sarath ProeunSchool electricity supply and general upkeep for one month3 Months Salary for a selected teacher: Tip, Tola or Sopanna3 Months Salary for school director, accountant and teacher Sarath ProeunA years salary for 4 committed teachers. Tip, Tola, Sopanna & SarathGeneral School Supplies. Pencils, notebooks, rulers, text books etc..